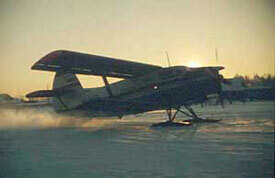 Arrival with the snow plane. 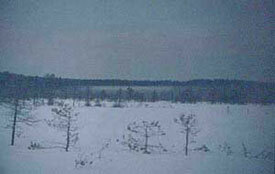 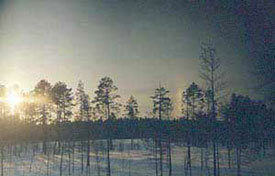 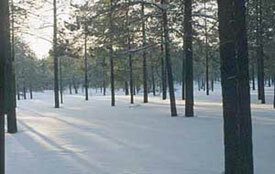 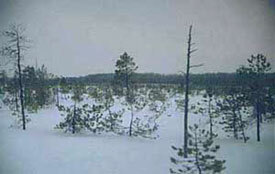 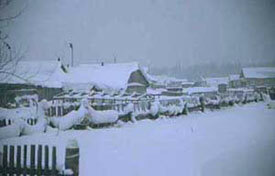 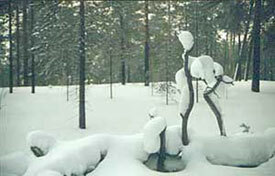 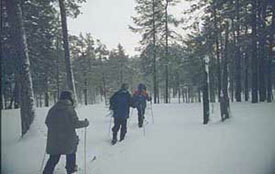 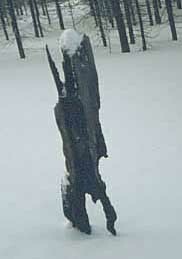 The research site is located in the Pine forest on the western side of the Yenisei around 63°north. 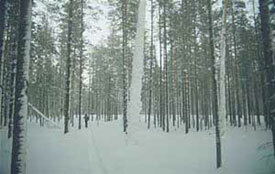 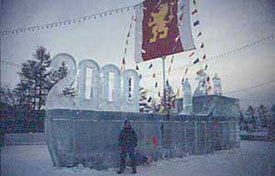 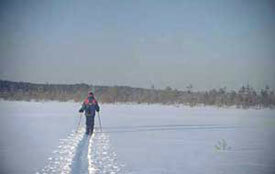 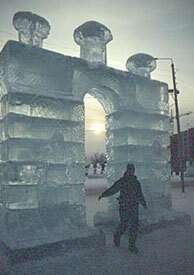 In winter it is only accessible by plane or by truck via the frozen Yenisei. 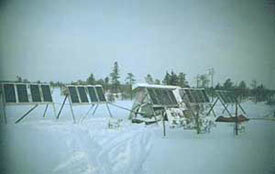 solar panels in the bog to supply electricity for the meteorologic measurements. 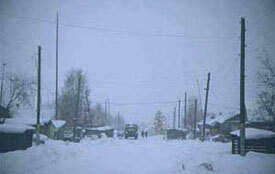 In winter a generator had to be run because sunlight was too weak.